If your searching for your Lake Garda holiday accommodation you’ve come to the right place. Whatever you taste we’re sure you will find what you’re looking for here. Our partners, Garda Holidays, have a fantastic range of self catering apartments and villas, some with pools, some with fantastic views and many with both. You can live among the locals for a week and use you wonderful property as a base to discover the enchanting Lake Garda. You get the best of both worlds as you can alternate between dining out in one of the fantastic lakeside restaurants, or buying the local produce from the local shops or markets and BBQing by the pool. Click on the image below and book your Lake Garda apartment or villa now. If you prefer to stay in a hotel then you should find exactly what you are looking for here. We have teamed up with Booking.com who have almost 2000 properties to choose from. 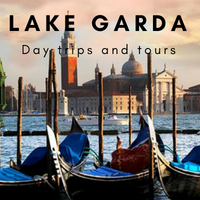 Lake Garda has an amazing variety of hotels all of them with individual charm and character. Many of them are family run which means the service is more personal than that of those big chain hotels. Many of the Lake Garda hotels have direct access to the beaches and the lake shore. With Booking.com you can also find bed and breakfast, holiday resorts and agriturismi (farm stays). Booking.com guarantee best prices and free cancellations on most rooms, so click on the image below and book you Lake Garda hotel now. A Lake Garda camping holiday is a holiday you wouldn’t forget. A fantastic experience for everyone and is especially popular for families with young children. We have partnered with Canvas holidays who offer luxury self-catering tent, mobile home and lodge holidays in some of the very best camp-sites around the lake. Some have direct access to the lake and some have amazing pool complexes, some have both. They all offer excellent facilities, including on site restaurants, bars, shops, sports facilities and children’s clubs (check the individual camp-site’s for exact details. Click on the image above to book you Lake Garda Camping holiday.